News by dentists has more teeth and less filling! The teeth are very important parts of the body. A smile is very ugly with stained teeth and many people lose their smile because of the presence of the stain on their teeth. Removal of the stained teeth is very effective in restoring the smile of the person and the first step in the process is the decision of the person with the stained teeth to remove it. Once the person has decided to remove the stain, the person can visit a dentist or try some home remedies before visiting the dentist. 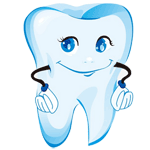 The best home remedy is to avoid certain food that can cause the staining of the teeth. The various foods that have to be avoided include the following: Coffee, tea and also certain drinks that have carbonated water in them. There are also certain fruits that can cause the staining of the teeth if consumed regularly. Brushing the teeth with a good toothpaste will also help to remove the stain if the stain was recent and also if the stain is something that was mild in nature. There are various herbal kinds of toothpaste that can be used to remove the stains. The person who has a stain in the teeth should also make sure that they floss after each meal that they consume. This will also remove any agents that can stain the tooth immediately. Other than this, flossing also makes sure that various bacteria do not grow on the tooth which can cause staining of the tooth. Smoking and chewing tobacco are the main causes of staining of the teeth and these should be stopped immediately to make the stain to disappear. Cleaning the teeth with baking soda has also helped many people in the process of removing the stain from the teeth. The visit to the dentist is the final step for the person who has not been able to remove the stain on the teeth. The dentist might use various methods to clean the tooth and also make sure that the stains are removed and the teeth get the shine back again. How To Keep Your Teeth White? Perhaps, if not absolutely everyone would like to flash a smile like that of Tom Cruise or Megan Fox! A set of gleaming white teeth can make you stand out of the crowd and will make you an instant crooner wherever you are. We cannot deny the fact that these celebrities’ teeth are not all natural—in a sense that before they were patronized on screens, their teeth are definitely not as pearly white as they are now. But sad to say, not everyone is given the gift of a gleaming set of white teeth! There are a lot of ways by which one can whiten one’s teeth and most of these quick ways will make you shell out a significant amount of cash. But if you are an eager person—one who wants to get that Hollywood celebrity smile without spending too much… that dream is not far from possible! Strawberries are great desserts—whether when taken in fresh, as preserved jams or simply as flavorings. Another essential thing that we can get from strawberries, apart from its delectableness, is that it can whiten our teeth. Strawberries are acidic in nature and therefore it can make our teeth whiter. How to keep your teeth white with strawberries—simply rub the strawberry into your teeth and leave it on for a few minutes before rinsing. However, put in mind that too much use of strawberries can strip off calcium from our teeth enamel so it must not be used regularly. Baking soda can whiten your teeth, the same way it can whiten surfaces like tiles, etc. Mixing baking soda with a small amount of vinegar, and creating a toothpaste-like consistency can be considered as an effective natural teeth whitening technique. However, just like strawberries, making this a daily habit can ruin your tooth enamel. Who says walnuts are just great food for squirrels? Walnuts can also become good teeth whiteners. Simply crush walnuts into forms which you can rub into your teeth. Be careful in doing this as it can damage your gums. Be gentle and rinse your mouth completely. Walnuts can remove dirt and stains in your teeth and is also a good bactericide. Acid can make your teeth whiter—one of the fruits richest in acid is lemon. Rubbing lemon into your teeth can provide an instant whitening effect. However, mentioned earlier on, acid can rob calcium stores from your teeth and damage the enamels. Thus, do not overuse lemons. 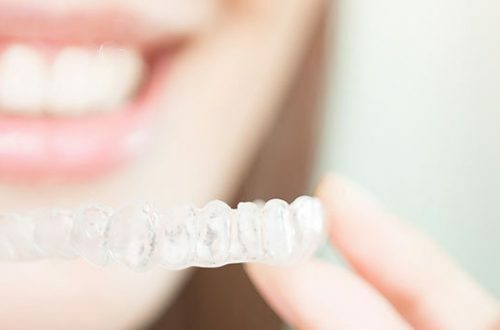 Apart from these tips, you must also put in mind that wanting to have whiter teeth is not just about what you have to do—it is also about what you must avoid. 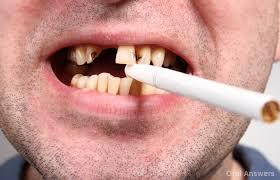 Among all other things, cigarette smoking can greatly stain our teeth. The nicotine that comes with a puff of cigarettes can stick into our enamel giving our teeth an icky yellowish color. Get That Boy Next Door Smile!